For Sale, Ultra-rare unopened bottle of Cantillon Brabantiae geuze. This might be one of the last of the 1991 one-time batch still around. 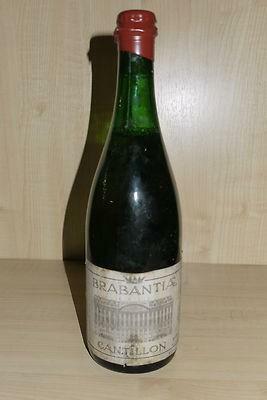 Brabantiae is a gueuze that was finished in Port wine barrels, and made to honor the Belgian King Baudouin (7 September 1930 – 31 July 1993). It was released for the Koningsfeesten (King's Celebrations) in 1991. Secure shipping with a lot of bubble wrap. Payment through Paypal or TW (preferred). Picture is for reference. Please contact me for the real pictures.